Genpact Freshers Walkin Drive in Gurgaon | Accounts Executive Job Openings | 30th November 2017. 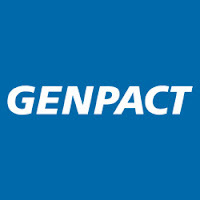 Genpact India is conducting walkin Interviews at Gurgaon Location for freshers. Applicants who are eligible can attend the Genpact special walkin for Accounts Receivable/Order To Cash/Deductions on 30th November 2017. Having 0 to 5 years experience are preferred for Genpact Career Jobs. Interested candidates must hurry up to fill the Genpact Accountant Vacancies for Gurgaon. Get more details about Jobs in Gurgaon for the sake of freshers and experienced candidates. Salary INR 1,00,000 – 3,50,000 P.A. Aspirants who are preparing to attend the Genpact India walkin drive must refer the Genpact Placement Papers as well as Genpact Test Papers. Practicing the Genpact Question Papers will help you to crack the written exam / online test easily. Candidates are advised to check the Genpact Interview Questions before attending for Genpact India Accounts Executive Jobs. Since, getting the job in Genpact has became a tough task for every fresher without proper preparation. To help you to score good marks in the Genpact Online Test we have updated all the practice papers in our blog. Refer our website All India Jobs for recent updates on IT Jobs. People who have a knowledge on SAP has added an advantage to crack the job. Candidates should possess an enough idea about managing multiple mailboxes, supporting 3rd party audit by solving their queries are required. Aspirants must have an ability to speak excellent oral and written communication skills in english are preferable. Candidates are suggested to check the furnished information about Genpact Job Vacancies to participate in the Genpact Accountant Walkin drive. Ensure proper cash application daily. Process daily ACH and WIRE payments received from customer in SAP. Research on overpayments, short payments, payment missing remittances by providing proper coding of deductions. Handling miscellaneous requests by supporting the 3rd party audit by proving backup as per the client request. Knowledge of SAP or deductions will add an advantage. Daily reconciliation of cash received and applied. Good oral and written communication skills in English must speak effectively and informatively. Ability to read and interpret. Periodically check the various sources of PO inflow (Email inbox / EDI queue, Fax). Within given TAT, Orders related to business ERP must be entererd. Interacting with carrier team for periodic status of the load (pickup / in transit / delivery). Ability to create delivery note on sales orders, to ensure products allocation. Communicating with demand control team to check the availability dates of short / unavailable items on customers order. Coordinating with shipping facilities to get the product shipped to customer. Genpact is one of the leading global professional services firm. It is formally referred to as GE Capital International Services (GECIS). Genpact India is the largest BPO and Knowledge Services Organization spread across the country. It’s maiin aim is to deliver digital transformation to their clients. It provides flexible, competitive environment to their employees for career enhancement. Company owns 16,000 employess working in Delhi, Gurgaon, Banglore, Hyderabad, Kolkata and Jaipur. According to the survey, Genpact named 3rd position in Top 10 Best Indian Companies. Genpact Offers focused training and rotations in different functionial areas. Genpact delivers disruptive business outcome to their clients by design thinking, integrating lean principles, analytics, and digital technologies. It is known as Lean DigitalSM. Genpact India will provide consulting services to their clients which includes approximately one fifth of Fortune Global 500. Genpact has also topped the list of Dataquest 2005 BPO Company. For further details about Genpact International Services refer the official website. How to Apply for Genpact Accounts Executive/Accountant Job Vacancy?? Cadidates who are interested to make their career in Genpact India can attend the Genpact Walkin Interview which is going to be held at Gurgaon on 30th November 2017. Here we are providing the complete information about Genpact Walkin Drive details for interested candidates. Attend the Genpact Accountant Walkin Drive at the below provided venue. Walkin Date: 30th November 2017. Walkin Time: 10 AM to 2 PM. Hard copies of recently updated CV. Original Government issued ID proof.